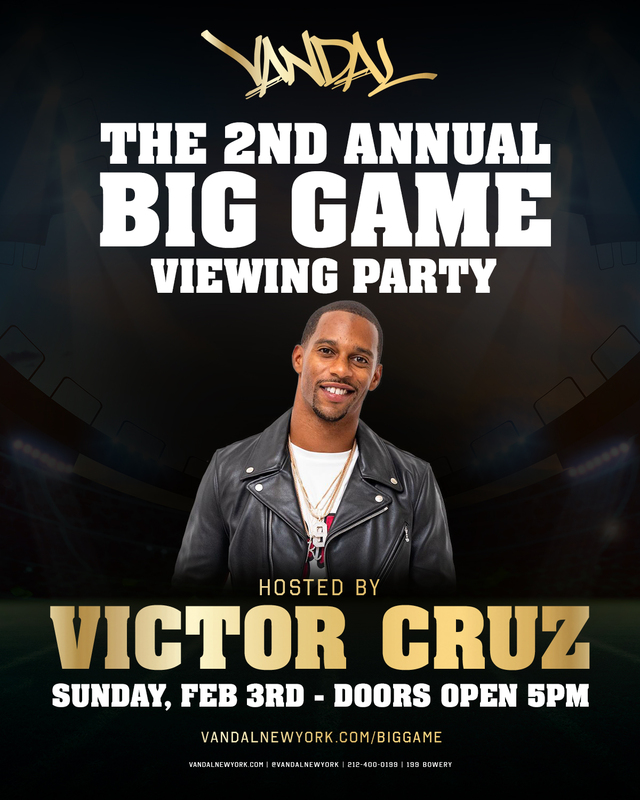 Join us Sunday, February 3rd and watch the Big Game at Vandal New York! We’re bringing in big screens so you’ll always have the best view. Reservations kicking off at 5:00pm; both standing room tickets and bottle service tables available. We will be offering a special Big Game food menu in addition to our traditional á la carte menu. General Admission tickets includes beer and wine open bar for the duration of the game plus game day bites for the first half. Includes standing room access to Hush room only for the entirety of the game. Ability to to order à la carte of the menu with big game specials are available on request. To guarantee seating, we are accepting reservations for the Gallery room and our Library activation. Please email: info@vandalnewyork.com or call (212) 400-0199.